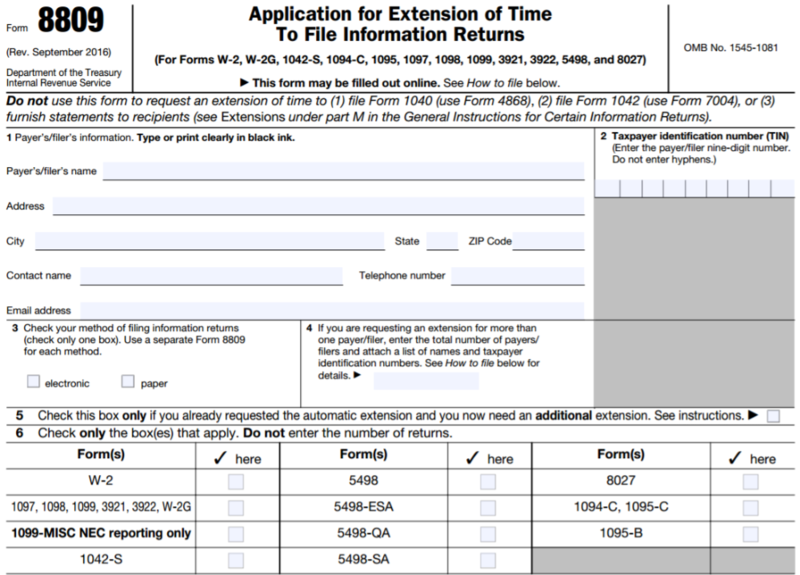 Requesting an Extension of time to File Forms 1099 with the IRS: if you think you will not have sufficient time to file copies of the 1099 Forms with the IRS prior to the January 31, 2019 deadline, you can use IRS Form 8809 to request a one-time 30-day extension. *Form 8809 does NOT postpone the requirement that you postmark the recipient's copy no later than January 31, 2019. Please note: Deadline extension requests for 1099 Form recipient delivery are NOT guaranteed and should be avoided.